Bauchi State University, Gadau [BASUG] Remedial Admission Letter Printing Procedures and Guidelines for Newly Admitted Students, 2018/2019 Academic Session. 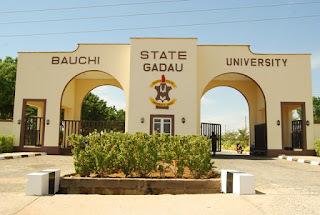 This is to inform all Students admitted into the Bauchi State University, BASUG remedial programme that the admission letters have been successfully uploaded online and it accessible on the institution’s portal. Admitted Candidates are advised to print their admission letters online and proceed with the Screening and Registration Process. Kindly log on to BASUG remedial science programme admission portal via http://basug_remedial.admissions.cloud/login.html. Enter your Username (which is your application ID) and Password (also your application ID, provided you’ve not changed it) in the required columns. Finally, click on the Login button to access your portal and also print your admission letter.